SIMCOE, ON — The public is invited to a celebration for a new book detailing the life of Dr. Vera Good, a pioneering educator and television producer from Waterloo County. 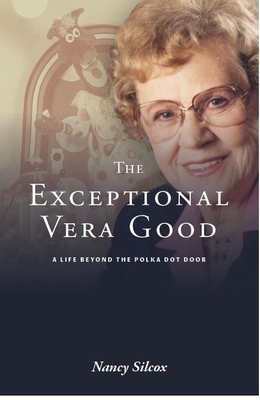 Good and author Nancy Silcox will be on hand to launch The Exceptional Vera Good: A Life Beyond the Polka Dot Door on Sunday, December 10, 2017 at 2:00 PM. The launch will take place in the party room at Norview Lodge Retirement Home in Simcoe, ON (44 Rob Blake Way). All are welcome to attend. Published by CMU Press, The Exceptional Vera Good traces Good’s life from her upbringing in an Old Order Mennonite family to her successful career as an executive producer of children’s programming for TVOntario from 1965 to 1981. Good laid the conceptual design and was the first executive producer for Polka Dot Door, an educational TV series for children that aired every weekday from the fall of 1971 until the show’s cancellation in 1993. In recognition of her work on the show, Good received a Gemini Award in 2010 as part of the Academy of Canadian Cinema and Television’s MasterWorks program, which honours culturally significant works. Prior to her work in television, Good was highly regarded as an innovative educator. She holds a PhD from Columbia University in New York City, and she was one of the first female principals in the Toronto school system. She was also the first female Inspector of Schools in Ontario. Good resides at the retirement home where the book launch will take place. Aside from the fact that she is now blind, she is in excellent health. The launch will double as a celebration for her 102nd birthday. Anyone planning to attend the book launch is asked to RSVP to Silcox by emailing silcox:@:cwisp.ca or phoning 519-662-9303. CMU Press is an academic publisher of scholarly, reference, and general interest books at Canadian Mennonite University (CMU) in Winnipeg, MB. Books from CMU Press address and inform interests and issues vital to the university, its constituency, and society. Areas of specialization include Mennonite studies, and works that are church-oriented or theologically engaged. For information about CMU Press, visit: www.cmu.ca/cmupress. A Christian university in the Anabaptist tradition, CMU’s Shaftesbury campus offers undergraduate degrees in arts, business, humanities, music, sciences, and social sciences, as well as graduate degrees in theology, ministry, peacebuilding and collaborative development, and an MBA. CMU has over 900 full-time equivalent students, including those enrolled in degree programs at the Shaftesbury and Menno Simons College campuses and in its Outtatown certificate program. For information about CMU visit www.cmu.ca.